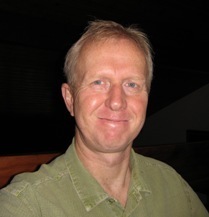 Andy Harvey has been a Professor of Optics within the School of Physics and Astronomy at the University of Glasgow since January 2012. He leads the Imaging Concepts Group in fundamental and applied research in computational optical imaging, hyperspectral imaging and biomedical imaging. 1990-95: St Andrews University: Post doctoral research in mm-wave instrumentation for fusion plasma diagnostics and pre-detector optical processing. Fellow of the Institute of Physics and Treasurer (previously Chair) of the IoP Optical and Photonics Division and past Chair of the Optical Group. He currently serves on the IoP Group Co-ordination Committee. He is active in organising a range of IoP conferences, meetings and sponsored events, including: having chaired the OPD components of Photon 04, 06 and 08, and Chairing bienial meetings dating back to 2000 in Imaging in the Eye and in Spectral Imaging and HSI 2011, 2012. Fellow of the Institution of Engineering and Technology. Active with SPIE and OSA including Chair of Computational Optical Sensing and Imaging conference and an OSA Prize committee.